The meme-strewn road to the International begins in the Philippines. The international Dota 2 LAN season started with an exciting and entertaining stop at Manila, where American favorites Evil Geniuses showed their finesse at the start of an impending competitive season. 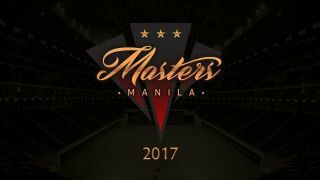 The Manila Masters, hosted by Mineski and ESL in the Filipino capital, brought in teams both regionally and from around the world to compete for the competition’s first title and a piece of a $250 thousand prize pool. The event is a spiritual successor to popular 2016 events ESL One Manila and PGL’s Manila Major, each of which were well-received for their hospitality towards the teams and the energy the venue and fans brought. After the Kiev Majors in late April, which brought team shuffles and gameplay changes, it was unclear who would come out at the top. At the end, Evil Geniuses, the American team waving the banner of The International 5’s winners, defeated Chinese rivals Newbee in the best of five finals. The match paralleled the long-standing rivalry between the Chinese and Western teams: the matches appeared close through each game, and Newbee certainly gave EG a run for their money. The winning team kept their grasp on the lead, though, and eventually overcame their opponents. With outstanding and unusual plays by EG’s star players, such as Zai’s 1HP taunt escape, they took the series 3-1 for the Masters trophy. Not only is this win vital for EG, but the turnout is also important for the current competitive circuit. The period for locking in rosters for The International, the largest Dota 2 and esports event, closed during the event, meaning that the teams that remain stable after Manila are building their early-season strength. Newbee has been a consistent force to be reckoned with since before the Kiev Major, and so their second place finish was unsurprising. The team was directly invited to the event, and they managed to win over the major contender, OG, who won the recent Major, in a 2-0 semifinal. NP, meanwhile, had a surprisingly intense display at the Filipino event. The player-run North American team, while fan favorites for their charisma and anime-centric reputations, struggled to finish at the top of larger events in recent months. Still, they swapped out two of their players after Kiev and managed to snag a solid third place in Manila after falling only to the eventual champions, shattering the scene’s expectations. Also exceeding predictions was the Singaporean Team Faceless, which knocked OG out of the tournament and proceeded to win fourth overall. The SEA squad is known as a top contender in the region, rivaling teams such as TNC Pro Team, Fnatic and Execration, and was the kryptonite to the near-unstoppable TNC in Kiev. They defeated local rising team Clutch Gamers in the first round of Manila, then moved on to the losers’ semifinals before falling themselves to NP. Regardless, this team took a surprising hit, meaning they’ll have some work to do. OG has gained a demigod-like status in Dota 2 for their sheer consistency in strength after winning four Majors, a rare trait in the scene, but that faltered here in the Philippines after losing to Newbee and, later, Team Faceless. Chinese team Invictus Gaming entered both Kiev and Manila with a similar reputation after a powerful run at the Dota 2 Asia Championships and a strong push in Kiev. Yet, they fell in the second round to eventual winners EG. It could have been for any number of reasons, whether because they didn’t want to impose their strength at every event after winning millions of dollars, or from the sudden change in climate and pub match atmosphere. Regardless, this team took a surprising hit, meaning they’ll have some work to do. Team Secret, of the Shanghai Major-winning banner, held onto their massive fanbase through several scandals and were greeted well in Manila. Their odd rise to power and fall to South American team SG Esports within the span of the Kiev Major put them in the spotlight leading up to the Manila Masters. Unfortunately, they were quickly toppled by Newbee, then NP, showing the team needs to buckle up and toughen up for the road ahead. The final team, Clutch Gamers, was the product of Mineski’s open league for an SEA slot at the event. They overcame such elite teams as Execration and TNC Pro Team in order to find their way to the major tournament for a chance at the grand prize. While the team recently took an emotional victory over Faceless to qualify for the upcoming The Summit 7 tournament, they couldn’t replicate the win in Manila and were taken out of the tournament by their regional rival. The world’s eyes are on this region lately, though, and Clutch may not entirely be out of the game this season, especially if they do well in The Summit. On the note of SEA, the region’s Dota 2 fans, known for its high population of esports enthusiasts, certainly turned out for the event, and the production certainly delivered entertainment for everyone. Even before the action started, content rolled out to liven up the mood. A trailer for the event depicts a common dilemma for young teens today: asking a cute crush out to an esports event. A young teen in peril tries to figure out how to draw a girl in by reading her profile, while spamming his internal monologue for the viewer to see, and hilarity ensues. Though likely inflated by Facebook’s autoplay feature, it has almost 250 thousand views, comparable to the top YouTube content creators in the scene. Battle of the Rages at the tournament was a competition of its own that was aptly named for its destructive energy and literal destruction. Fans were brought in to demonstrate their best “rage,” including one super-fan that called himself “Puppey Jr,” referring to video footage in which the Secret player smashed a computer screen and threw headphones. When the judges were brought in, the memery exploded as Puppey himself walked onto the stage. The production crew rightfully put faith in the fans’ ability to destroy used computer equipment, and the storms of fury made for a spectacular spectator sport. The event also tapped into the international (but especially Filipino) love for soap operas, bringing in SirActionSlacks, Merlini and Black^ to act out a death scene with volunteers, punnily-nammed “I Lie Die.” However, there was little competition for the talent—the Team Faceless player instantly pulled out all the stops by pulling out well-dramatized Tagalog slang off the bat: “Bessie ko… wag ka mamatay!”, or, “Best friend… don’t you die!” The Singaporean player could be seen checking his phone before his shot, so he likely learned the phrase moments ago, but his acting ability charmed and entertained the crowd. Then, there’s the last unlucky and unintentional moment that brought fans together early on in the tournament. NP star EternalEnvy had the team camera online when his chair slipped away, and he hit the ground hard. Of course, as with any visible accident in Dota 2, there were memes, though this incident managed to also reach ESPN’s main channel as a top “jeer.” It’s an unfortunate out-of-game hit on his record of Dota 2 slips. Already, fans on Reddit are calling for another Major in Manila, or at least more events in the region. It’s clear why, after this tournament: the teams and talent bring their all for their fans, no matter what they’re doing on stage.